The lodges are well serviced with their location between Arisaig and Mallaig. It takes about 20 minutes to walk to Arisaig or a couple of minutes in the car. There you will find a small Spar and Post Office as well as a cafe, and two dining options in the Old Library restaurant and the bar of the Arisaig Hotel. 7 miles up the road is Mallaig which is a bustling fishing port with the ferry terminal for boats to Skye and the Small Isles. There is a larger Spar, a Coop supermarket and various pubs and restaurants as well as banks and gift shops. Mallaig also has a swimming pool and sports centre with gym which is open to the public. You will find a petrol station in Mallaig but we would recommend filling up your vehicle in Fort William on your way through which is about 45 minutes from the lodges. There is a BP and Esso service station or you can fill up at Morrisons. The latter is the largest supermarket but there is also an Aldi and an M&S food store. Fort William has an abundance of dining options, a pedestrianised High Street with a variety of shops and there is a large sports centre with swimming pool. There’s even a drive through Costa! Fancy an authentic Thai meal while you stay in one of the lodges??? Well, you will find a menu in our welcome pack for the Sunset Morar – a unique dining experience in the small village of Morar famed for its majestic beach. It’s not quite a take-away, you select your dish from the menu, phone it in or stop by at least 2 hours before, then you return at your selected time to collect your chosen dishes which are packaged up take-away style. They’re cooked to order by a Thai lady who has lived in the area for over 10 years. It’s the closest thing you’ll get to real Bangkok street food in the Scottish Highlands! 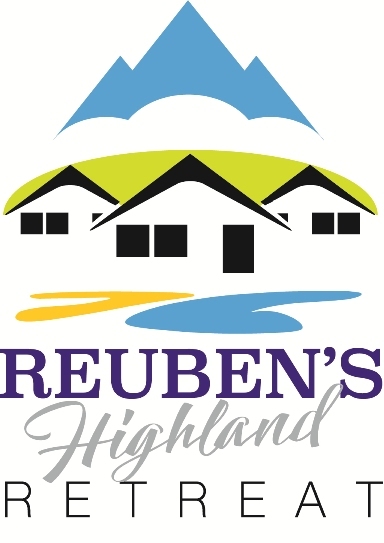 Reuben’s Highland Retreat is in quite a unique location with some of Scotland’s most spectacular scenery on your doorstep yet you have access to all the amenities you could ask for – if you want them!